The audience gave us a standing ovation. 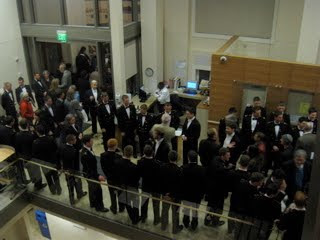 Then the midshipman formed an impressive phalanx in the lobby as we said hello and goodbye. We had a great evening, we thank them for including us on their tour, and we thank them especially for serving in time of war.